Bible Secrets Revealed via the History Channel? God took Enoch (Genesis 5:24). 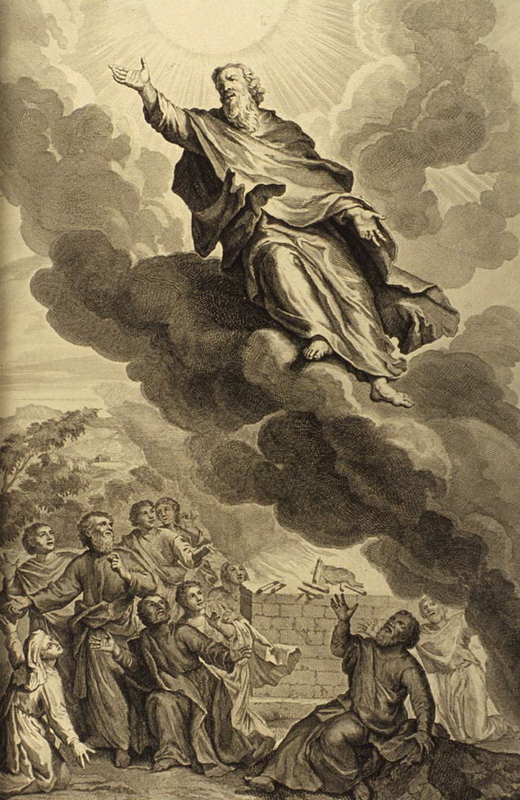 From Figures de la Bible, Gerald Hoet and others, 1728. As I do not have cable TV, I never really get to watch the History Channel. But when some friends suggested that I check out the new History Channel series on the Bible Secrets Revealed, I thought I should investigate a little. As it turns out, the History Channel does allow you to watch some of the previous episodes online fairly easily, at least for a limited time. I missed the window to see the first episode, “Lost in Translation“. However, I was able to view the next two episodes, “The Promised Land” and “The Forbidden Scriptures“. I will not attempt to give a full review but just offer some brief general observations and pointers to some resources for further study. I like Bible documentaries because I always learn something from them, such as in this History Channel series, and it encourages me to dig deeper in the data even more for myself, even if I do not agree with everything presented. But what bothers me about some Bible documentaries is in the style of presentation and the overall narrative that the producers of the film are trying to convey. Genuine efforts to present views even handedly get unwittingly sidetracked by unexamined biases held by these documentary makers. Unfortunately, the History Channel’s latest film on this topic is no exception. On the positive side, what the History Channel, advised primarily by Dr. Robert Cargill of the University of Iowa, is addressing is undeniably important. Evangelical churches typically avoid questions regarding Christian origins and critical Biblical studies like the plague. But gone are the days where church leaders can simply brush uncomfortable topics underneath the rug. Here are the days of the Internet, where young people can find information at the click of the mouse regarding issues that rarely ever get discussed in church. It is apparent that Dr. Cargill, an archaeologist and classics and religious studies instructor at the University of Iowa, has found more freedom in academia, the media and the Internet to ask these type of questions than in the church. I mean, if your pastor will not talk about it, then you can go view the History Channel, or even easier…just ask Google. This is a tragedy. The church must do better than this. Here at Veracity, we want to help to try to change that. The Bible Secrets Revealed documentary producers attempt to interview a wide variety of scholars with different theological perspectives to give a broad overview of controversial issues in scholarship and try to shed some light on points of contention. The goal is clearly admirable. But unless you know who the scholars are and where they are coming from, it is difficult to get the context for many of their comments. Typically, the film producers just give little sound bites here and there from each scholar. While this makes for a fast-paced and entertaining documentary, it does little to give you depth of understanding as to why a particular scholar arrived at a particular conclusion. The second episode “The Promised Land” is thankfully more evenly balanced than the third episode “The Forbidden Scriptures“. In the third episode to the documentary’s credit, the narration does at least mention both conservative and liberal points of view. However, the narration style of the History Channel mostly puts forward interviews favoring the skeptical side and not the more orthodox side, offering more of a critique of the orthodox views and giving a large pass to the opposing skeptical views. For example, in the “Forbidden Scriptures” the Book of Enoch is portrayed as one of the “banned books of the Bible”. The Book of Enoch was a popular ancient text that speculated on the details of the story in Genesis 6:1-8 where the “sons of God” came down and had sexual relations with the “daughters of men” to produce Nephilim offspring. The Book of Enoch is considered as sacred Scripture today only by some Ethiopian/Eritrean Orthodox churches, having fallen out of use by other Christians as well as by Jewish communities centuries ago. The History Channel suggests that possibly the Christian community sought to suppress the Book of Enoch because of its subversive message, even somehow tying in a feminist element that was really fuzzy to me. You got the idea that the male-dominated church leadership conspired together to wipe out opposition to their political power. But while this highlights an important theme in contemporary, 21st century affairs, it tells us very little about what really happened with the Book of Enoch. To think that the Christian community was simply following the Jewish lead in abandoning the Book of Enoch is apparently not sensational enough for the History Channel to explore in much depth. Or is the History Channel suggesting that the Ethiopian/Eritrean Orthodox communities that still include the Book of Enoch espouse a less “control-freak” oriented kind of Christianity at odds with other more “authoritarian” Christian communities? I hardly believe that. The documentary was framed in the sense that there are mysteries whose answers can perhaps only be found by discovering the “secrets” hidden in the Bible. This was sadly misleading in that all one needs to do is simply READ THE BIBLE and discover for oneself that many of the supposed “secrets” are actually spoken of quite plainly in the text. What a radical, novel idea! Sure, there are variations in interpretations of the Bible and we can clearly benefit from scholars like Dr. Cargill and his colleagues who take the time to investigate the issues and what can be gleaned from other ancient documents and archaeological findings. But this is no substitute for digging into what the Bible itself says. I think the best way to measure the success of the History Channel’s documentary is to find out if it encourages viewers to read through the whole Bible for themselves. Perhaps you think I am being overly pessimistic about Bible Secrets Revealed. Well, the problem is that I expect better. You see, most of the folks who will probably get into this documentary are folks who either have very little understanding of the Bible to begin with or folks who have developed a real antipathy towards Christianity. What the History Channel is not reaching is those in Christian communities of faith that need to address these type of issues. The average evangelical Christian has probably never, ever heard of the Book of Enoch, despite the fact that the New Testament Letter of Jude specifically references the Enoch text in Jude 1:14. But you would be hard pressed to find that many evangelical Christians who would be willing to sit through the History Channel’s presentation without flipping the channel off in ten minutes and dismissing it as “liberal” drivel. Sadly, this does not serve the work of the Biblical scholar that well either, as it puts in the mind of the believer the idea that scholarship can not be trusted, and it reinforces the stance of the skeptic and the hesitancy of the agnostic. If the History Channel really wants to engage people in a robust dialogue, they need to do a better job of faithfully representing orthodox belief in conversation with more skeptical critics. Several more episodes are coming from the History Channel in the series Bible Secrets Revealed, 10 pm on Wednesday evenings. Dr. Robert Cargill is answering questions raised by the History Channel documentary at BiblicalArchaeology.org. More on Enoch from Philip Jenkins, an historian at Baylor University, giving what I consider to be a more modest reasoning why the Book of Enoch fell out of favor in Christian worship in most of the churches. Michael Kruger, the president of Reformed Seminary in Charlotte, North Carolina, is giving an episode by episode review of the Bible Secrets Revealed series. An finally, more from Veracity: the Nag Hammadi texts and the Book of Enoch. UPDATE: January 2018. I stumbled upon this fascinating review of the program by Eastern Orthodox scholar, Eric Jobe. Most excellent. This entry was posted on Tuesday, December 3rd, 2013 at 6:40 pm	and tagged with Bible Secrets Revealed, Dr. Robert Cargill, History Channel, veracity and posted in Topics. You can follow any responses to this entry through the RSS 2.0 feed. The History Channel is often interesting, but as soon as I hear their narrator’s voice I start reaching for the remote to turn up the brightness on my TV–which unfortunately doesn’t work (an old Gallagher joke). When you put the likes of Bart Ehrman and John Dominic Crossan (wearing a collar) in front of a camera, you’re promoting a skeptical agenda. Throw in sensationalist theories and you have a formula for programs that people will watch and discuss. Unfortunately it has the same sour result as a car show that decides to sell out by promoting products rather than teaching anyone anything useful. Blech, blech, Blechhhhhhh!!! I watched the latest show last night (on Jesus and the Gospels). After about 20 minutes I had to give up on it. What a mess…and what a shame that Jesus Christ is presented with such irreverent stupidity. But I get the sense that this type of narration is not in the History Channel’s MO. If _Bible Secrets Revealed_ had maintained that level of scholarly integrity throughout the whole program, not just isolated parts like this one, you might actually have had a really good series. Unfortunately, on the History Channel, you have to wade through a lot of scary sounding narration, conspiracy-driven sensationalism, and other out-of-context quotes from scholars to get to some really thoughtful stuff. As irritating as the Mary Magdalene muckraking was, I pulled the plug when the narration made some statement about scholars questioning whether Jesus was a man who could read and write. By the way, some scholars have the same question regarding Reza Aslan and Bart Ehrman. Oh, I just figured out who Kathleen McGowan is, one of the “scholars” interviewed on the program. By far, she was THE most way out there “scholar”. If I was Dr. Cargill, or anyone of the many other reputable scholars interviewed, I would be cringing every time she shows up. They should have pulled Kent “Dr. Dino” Hovind out of prison as a rebuttal for the other side…. More “true” than the canon. The events are nearly all fictional, but the gnostics were the real ‘Christians’ if there were any. The Gospel of Judas, for example, is about SELF sacrifice, of Judas, NOT JESUS. This is reversed in the canon tendentiously. The aim was to hide James (‘Judas’) as a traitor, not the Master, which he was. This is close to the findings of Dr. Robert Eisenman, and I can confirm from Eastern mystic teachings (www.rssb.org). Just look at the last phrase in the Apocalypse of Peter “As he [Jesus] was about to reprove you [Peter] three times in this night” about meditation, not denial. It was reversed to demean Peter in the canonical ‘Betrayal.’ The James Apocalypses are the installation event OF JAMES, and the details all parallel the details –in reverse — in the canonical “Betrayal.” The early church pulled a con job to eliminate the real savior, James and found a new religion. It worked, Too well. Contrary to what many even well-meaning Christians think, the carbon-dating methodology used to date the Dead Sea Scrolls is reliably good science. So, Eisenman is losing me if he really thinks the science behind radiometric dating is essentially flawed. Feel free to respond, but I really do not have the time right now to engage fringe ideas such as these. Maybe later, when I get some time, but not right now. Bible Secrets Revealed, Episode 3: “The Forbidden Scriptures” | When Was Jesus Born? New information is shocking! I know Eisenman personally. He is, I think, the smartest person I ever met. I have read everything he has written and know of not even one minor detail about which he is plainly wrong. As close to wrong he gets is thinking the Essenes were warlike. There is no evidence of this outside their warlike writings, which are clearly metaphor. He deals at length with the way the C-14 tests were improperly conducted and interpreted in his books. The first one with Wise I believe, The Dead Sea Scrolls Uncovered. His findings are within the margin of error that even the other side found. His determination of dating is correct. He shows that Ananus is the one who has “evil pollutions” inflicted on his corpse, not on the body of his flesh, or whatever Vermes said it says. Eisenman is right, Vermes was wrong. If every other scholar is opposed, then he and I share something in common! No scholar says what I say – INCLUDING HIM – that Judas is the sacrifice in the Gospel of Judas, and is covering James. I am right and always will be on this. The scholars are ALL wrong, thinking that “the man who bears me” is Jesus. It is not. The “man who bears me” is JUDAS. They don’t know mysticism (aka gnosticism). I do. I am a daily practitioner. “The approach taken in the present chapter is to side with the overwhelming majority by holding that the scrolls were written, copied, and/or owned by people who were Jewish and did not acknowledge Jesus of Nazareth as the Messiah, if they were even aware he existed.” [VanderKam, J. C. (2012). It is not established that he did exist! The Scrolls are about JAMES. There is definitely no mention of Jesus in the Scrolls. And if he did live, there should have been, since they are shown to have mention of James (the Righteous Teacher). The New Testament Gospels are not history. 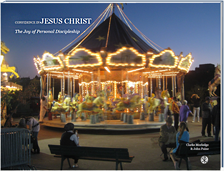 There is no evidence anywhere in the historical record that Jesus of Nazareth was a real human being. He was Paul’s Heavenly Redeemer figure, that is all. Gospel authors embellished the ethereal Jesus until he became myth. Forget Thiering. Everyone lumps her together with Eisenman like they are twins or something, She is not even close to his level.